By Philippe Van Nedervelde, Director, Informational Transparency Division, and other Scientific Advisory Board members. (Philippe is also inventor of the Panoptic C-Thru 3D Video Surveillance System .) This is an ongoing program so you may submit suggestions to [email protected]. The best way to survive a bioweapon, nanoweapon, nuclear, or other attack is to prevent it from happening in the first place. The Lifeboat Foundation’s SecurityPreserver program is looking for ways to provide early warning of attacks before such attacks can be fully designed, planned, developed, deployed, let alone launched. In an ideal world, you would have perfect defenses and therefore would not need to have early warnings of attacks before they were developed. The SecurityPreserver program is for use in an imperfect world with imperfect defenses. If you wish to help improve our imperfect defenses, we have developed many programs that we need your input on including our BioShield  and NanoShield  programs. Surveillance technologies are getting smaller every day. The above Hitachi Mu-chip was first used in admission tickets for the 2005 World Exposition in Aichi Prefecture. It is also used in entry-control systems at condominiums. This wireless RFID technology has already become outdated by chips 64 times as small that were recently announced by Hitachi . The X-ray backscatter scanner at London’s Heathrow airport can see through clothes. .
Wireless sensor networks were originally developed in the mid 1990s at university research institutions including the University of California, Berkeley, for defense and intelligence applications. As the research world rallied around the concept of “Smart Dust” (a term originally coined by Kris Pister, a Professor at UC Berkeley and founder and CTO of Dust Networks), universities and research institutions worldwide started to take a closer look at the impact of ubiquitous sensing and control. Star: Star networks rely on a central base-station that communicates directly to sensor nodes. Some star networks support multi-hop routing from node-to-node but all routes are “linear” where each node only has one possible communication path. The failure of an individual link means that information is lost. Installation of star networks require sophisticated site surveys and link-level configuration. Each node must be positioned correctly and each point-to-point link tuned for maximum reliability. Star-Mesh: Star-mesh networks have redundant routing at the core and star routing at the edge  typically with line-powered routing nodes and optionally battery-powered end nodes. In a star-mesh network, the routing nodes are “full-function devices” and the end nodes are “reduced-function devices”. While star-mesh does provide redundancy on top of star topologies they do not allow for true end-to-end redundancy nor do they eliminate the installation challenges of star networks. While an edge node may transmit to one of many routers it is still a point-to-point link that must be tuned. Mesh: Full-mesh networks , sometimes referred to as “mesh-to-the-edge” provide fully redundant routing to the edge of the network. This has the obvious benefit of reliability but also has dramatic impact on network installation and long-term predictability. In a full-mesh network every device has the same routing capabilities. As it is installed each node will be able to “decide” where it belongs in the routing structure based on what other nodes it can communicate with, its proximity to the network gateway, and its traffic load. This allows for true self-forming and self-healing without constraints imposed by device type and architecture. There is already a trend for increased surveillance as terrorism threats increase worldwide. This has caused many advanced systems to be developed. A system which may be available in the near future is Smart NEMSbot “Swarms” ORB by Physical Optics Corporation. Omnidirectional Robotic Beacon Eye (ORB) is a wireless optical communication system with a 360-degree field-of-view and at a 15-degree elevation. This line of sight, near-infrared ORB with light modulation, transmits an optical, personal signature and survey information. ORB is miniaturized, requires low battery power and can not be jammed. Panoptic C-Thru Surveillance system allows one person to monitor dozens of locations. 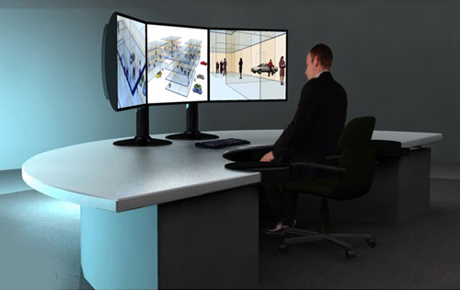 Another system that may be in available in the near future is the proposed Panoptic C-Thru surveillance solution  which enables one or more surveillance agent(s), using a single high resolution (auto-stereoscopic) display, to at-a-glance remotely monitor the security situation of an arbitrarily large number of locations. In essence, the system significantly empowers surveillance agents with something akin to an X-ray-like “God’s Eye View” super sight capability. The agents have comprehensive overview. They can see, hear and transport their focused viewpoint through walls; floors and ceilings; can zoom into and monitor a specific location. But wait, it gets worse. The company has also implemented facial recognition software into the system, so it can not only keep track of where people are, but who they are, too. The surveillance system hasn’t been implemented anywhere yet, but if this is actually practical and not just some pipe dream, let’s just hope it’s used for good rather than ill.
Israel is using “nanotechnology” to try to create a robot no bigger than a hornet that would be able to chase, photograph and kill its targets. The flying robot, nicknamed the “bionic hornet”, would be able to navigate its way down narrow alleyways to target otherwise unreachable enemies such as rocket launchers. The tiny RPV may even be able to launch miniature rockets at its targets. Prototypes for this new weapon are expected within three years. This same technology can  and likely will  serve as one of the early pre-PSDS deployment platforms of Panoptic Surveillance Systems, to be used in non-permanent engagements limited in time and geographic space. Sousveillance as a situationist critique of surveillance. 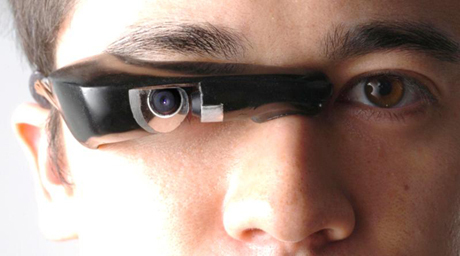 This wearable device allows you to “watch the watchers”. In the future, we propose a SecurityPreserver by means of Panoptic Smart Dust Sousveillance (PSDS) systems. Such systems would provide technologically-enabled “Radical Reciprocal Accountability” and transparency protecting us from manmade existential risks through information  risk-preventing and risk-defusing information through both top-down as well as bottom-up, pointed, responsible proactive state-based and citizenry-based intelligence-gathering. Panoptic means “including everything visible in one view”. Smart Dust would be small nanotech devices the size of a dust particle or smaller which would be used for surveillance and sousveillance. Sousveillance is security & safety monitoring and intelligence gathering by ordinary citizens. Surveillance is security & safety monitoring and intelligence gathering by those with power, especially governments. Much if not most sur- or sousveillance is keeping a watchful eye on situations. Beyond that, it can also be used for proactive or investigative intelligence gathering as well as for the coordination of Command, Control & Communication  providing the 3 Cs of tactical and strategic operations. Democracies empowered by extremely fine-grained and radical reciprocal accountability, enabled by multiple independent bottom-up parallel global Panoptic Smart Dust Sousveillance (PSDS) systems, might be thought of as “Democracies-on-steroids”. Keeping EVERYONE honest would be the primary and overriding goal and usage of such PSDS systems. Each such system would realize this by effectively providing the so-called 4 Es to all: “Everyone has Eyes & Ears Everywhere”. An example of such a system is “People’s P2P Panopticon (PP2PP)” . This P2P Community project is aimed at technologically realizing transparency and openness. The project calls for the development by the P2P community of an open-source sousveillance technology platform funded, developed and stewarded by the global P2P community… to be implemented and given as a peace-gift to humanity. A new international and global security doctrine based on the co-existence of top-down and bottom-up PSDS systems is “Multi-laterally Assured Pervasive Permanent Sur-/Sous-veillance (MAPSS)”  which was intentionally coined this way so as to replace the previous Cold War era doctrine of MAD  Mutually Assured Destruction. The goal of the Berkeley Smart Dust project  is to build a self-contained, millimeter-scale sensing and communication platform for a massively distributed sensor network. This device will be around the size of a grain of sand and will contain sensors, computational ability, bi-directional wireless communications, and a power supply, while being inexpensive enough to deploy by the hundreds. The science and engineering goal of the project is to build a complete, complex system in a tiny volume using state-of-the art technologies (as opposed to futuristic technologies), which will require evolutionary and revolutionary advances in integration, miniaturization, and energy management. Such Smart Dust sousveillance systems are far less far-fetched than you might think. Precursors of Smart Dust localizer systems have already been in development since the mid-90’s with the sensor-net-nodes currently already at the millimeter scale. Key players include Dust Networks, Berkeley’s Smart Dust Project  and Aether Wire & Location. For further documentation, Google on “Smart Dust mote”, “localizers”, and “wireless sensor networks” and permutations thereof. “Clean rooms” or more likely “clean buildings” could be developed that are repeatedly filtered to remove dust particles and which also employ other countermeasures against smart dust. Communications could be switched to areas much harder to monitor including using direct mind interfaces with computers instead of using keyboards. Luckily all these countermeasures would be fairly easy to detect. The question is will anyone do anything about countries/companies/individuals who are obviously avoiding smart dust monitoring? If nothing is done we could have the worst of all worlds, where the average citizen’s life is completely transparent while a rogue country run by a dictatorship is allowed to work on any secret projects it feels like. If countermeasures are not tolerated, then at the level of international / global relations, smart dust would enable states to permanently and pervasively have myriad eyes, ears and chemsniffers keep track in real-time of exactly what other states are up to, thereby for the first time radically preventing all those “yes, you did / are doing that / no, we did not / are not doing that” shenanigans such as, for example, with the intelligence snafu re Saddam’s WMDs; Iran’s nuclear ambitions; the true state of North Korea’s nuclear capability etc. Such Smart Dust monitoring and intelligence-gathering systems should also make it fairly easy to finally really rat out a terrorist network like al-Qaeda and would be extremely effective at preventing that new versions of such networks have a chance to grow beyond the earliest budding stage. At the national level, such systems would enable individual citizens to monitor and verify the strict legality of all the actions of all the elected as well as otherwise appointed agents of its government, judiciary, police-force, and armed forces… including even the merest eye-blinking of the people in power all the way at the top of each of these arms of the state. The, at least in the West, deeply ingrained and quite justified “suspicion of authority” would finally dispose of the tools needed to reliably verify and monitor the subjects of those suspicions. Such extremely fine-grained monitoring capabilities would similarly enable the citizenry to collectively keep a close eye on all other non-governmental “players” who concentrate and wield societally significant powers  financial, economical, political, persuasive, informational, societal etc. powers  such as mega-corporations (e.g. financial and other white-collar crime), utilities-providers (e.g. carbon-emissions and other forms of pollution), the press (e.g. fourth estate abuses of power) and any other societal-player-of-consequence that one could care to name. Inevitably and logically, the capability for permanent and pervasive bottom-up sousveillance by citizens of those who govern and administer them, would be matched with similar top-down capabilities. This would result in a situation where citizens would no longer be able to cheat the state on their taxes or carry out any other incivic behavior, particularly misdemeanors and crimes of all sorts. Interestingly, with such systems in place, judges and courts would never again be unable to adjudicate cases for lack of evidence. Such systems would result in both government agents as well as citizens having ever less capability to have anything to hide. In such a totally “transparent” society and world, the only privacy left to all people would be the privacy of their own thoughts. No doubt that such an extreme erosion of privacy would be an extremely high price to pay. The only way that we can see how societies and individuals might accept to pay  kicking and screaming, for sure  this high price, is if the transparency is genuinely two-way, genuinely reciprocal. What would be gotten in return, is the chance, finally, at a world that is genuinely free of internal and external armed conflicts, crimes and the myriad other ways humans have been cheating and being otherwise detrimental to other humans since the dawn of humanity. Would the resulting societies be democratic ones? On the critical condition that the parallel Smart Dust sousveillance and surveillance systems deployed enable genuinely reciprocal accountability and transparency from bottom-to-top as well as from top-to-bottom… such systems would create the conditions for the arguably first fully realized/actualized democracies. Think of it as Democracy-on-steroids because the quasi-total pervasiveness of the sousveillance would probably deter any incivic acts to actually be committed… the Rule of Law taken to its extreme. The near-absence of privacy will  certainly at first  probably make it feel quite different than the democracies we have living experience of, but we will probably adapt to this new state too and  grudgingly perhaps  recognize and enjoy its important benefits. Given that our world is still quite replete with people who have a lot to hide (and who will be less than amused, to say the least, to feel their wiggle room shrivel up around them), and that everybody else will intensely dislike the loss of nearly all privacy, there are no prizes for predicting that such a system will be the subject of distinctly mixed feelings: virtually universally loathing mixed with grudging recognition and appreciation of its upsides. Human nature being what it is, like democracy, radical reciprocal accountability and transparency will probably be quite messy and uncomfortable for most people. There would probably not be better alternatives available though. Unfortunately, such technologies and their societal effects will likely be tried and accepted politically only when all the other alternatives fail. Hopefully before it is too late though. Even then, that grudging acceptance will be painful, but the benefits would ultimately so outweigh the less pleasant aspects that it seems all but inevitable that these systems will be seriously considered and, on balance, their deployment and operational use be deemed to be in the greater interest of humanity as a whole and all of its members. The PSDS systems-based SecurityPreserver program can be thought of as the detection and counter-attack coordination parts of an auto-immune system of humanity. Our BioShield  and NanoShield  programs can be thought of as elements of the “counter-attack & neutralize” parts of that same species-level auto-immune system. The SecurityPreserver program addresses real concerns. “There’s a long-standing problem in astronomy called the Fermi Paradox, named for physicist Enrico Fermi who first proposed it in 1950. If the universe should be teeming with life, asked Fermi, then where are all the aliens? The question is even more vexing today: SETI, the search for extraterrestrial intelligence with radio telescopes, has utterly failed to turn up any sign of alien life forms. Why? Is it acceptable for governments to monitor civilians with quintillions of sensors, and for civilians to monitor their governments with quintillions of sensors? Or is that irresponsible and dangerous? Many prominent thinkers including David Brin  have debated this issue. A larger policy question is: should we implement defenses to try to handle every possible class of attack, or should we attempt to stop hostile forces from unleashing the attacks in the first place  which may require extensive surveillance? Each attack prevented by good surveillance is one less attack that might possibly overwhelm our defenses. The time to debate this policy question is now. Panoptic C-Thru 3D Video Surveillance System – Gizmag, August 31, 2006. Lifeboat Foundation BioShield by Lifeboat Foundation Scientific Advisory Board including Stephen M. Maurer, Sept 2006. Lifeboat Foundation NanoShield by Michael Vassar and Robert A. Freitas Jr., with participation by Amara D. Angelica, Philippe Van Nedervelde, Mike Treder and other Scientific Advisory Board members, Sept 2006. 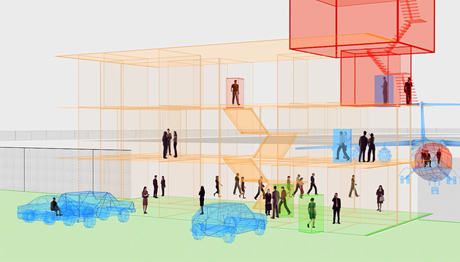 The Transparent Society: Will Technology Force Us to Choose Between Privacy and Freedom? by David Brin, 1998. Berkeley’s Smart Dust Project, 2001. MAPPS / M.A.P.P.S.  Multi-laterally Assured Pervasive Permanent Sur-/Sous-veillance by Philippe Van Nedervelde, P2P Encyclopedia, 2006. People’s P2P Panopticon, the  Abbreviated as “PP2PP” and a.k.a. the 4 Ps. by Philippe Van Nedervelde, P2P Encyclopedia, 2006. Technical Overview of Time Synchronized Mesh Protocol (TSMP), by Dust Networks, 2006. 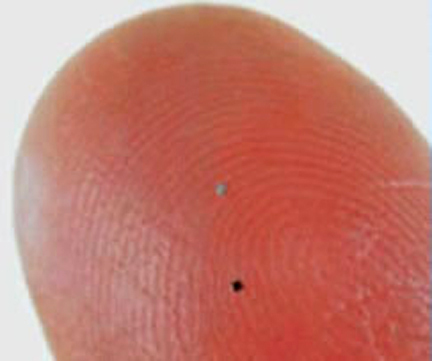 RFID “Powder”  World’s Smallest RFID Tag by Technovelgy.com – February 14, 2007. Xtra revealing X-Ray scanner coming soon to London’s Heathrow airport by Engadget – November 10, 2004. Berkeley Webs. Home of TinyOS : Operating System support for sensor tiny networked sensors, TinyDB : A query processing system designed to extract info from a network of TinyOS sensors, TOSSIM : TinyOS mote simulator, and many other related sites. NEST Project at Berkeley: an Open Experimental software/hardware Platform for Network Embedded Systems Technology research that will accelerate the development of algorithms, services, and their composition into challenging applications dramatically. Small, networked sensor/effector nodes are developed to ground algorithmic work in the reality of working with numerous, highly constrained devices. Big Brother is shouting at you by Daily Mail – September 16, 2006. Big Brother is watching us all by Humphrey Hawksley, BBC – September 15, 2007. British Cops Getting Video Cameras on Their Heads by the Associated Press – July 13, 2007. China’s All-Seeing Eye: With the help of U.S. defense contractors, China is building the prototype for a high-tech police state. It is ready for export by Naomi Klein, Rolling Stone – May 29, 2008. Dragonfly or Insect Spy? Scientists at Work on Robobugs by Rick Weiss, Washington Post – October 9, 2007. Equiveillance: The equilibrium between Sur-veillance and Sous-veillance by Steve Mann, University of Toronto – May 2005. 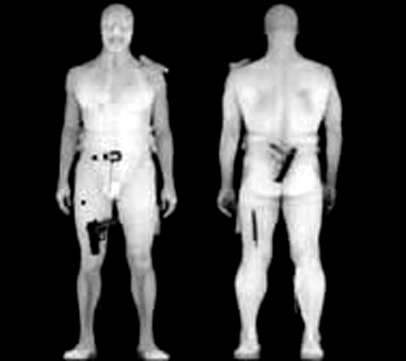 Exposed: Naked Body Scanner Images Of Film Star Printed, Circulated By Airport Staff by Paul Joseph Watson, Prison Planet.com – February 9, 2010. Larry Brilliant: TED Prize wish: Help stop the next pandemic – February 2006. Lockheed Martin Developing “Maple Seed” Flying Cameras by Adam Frucci, Gizmodo – September 24, 2007. 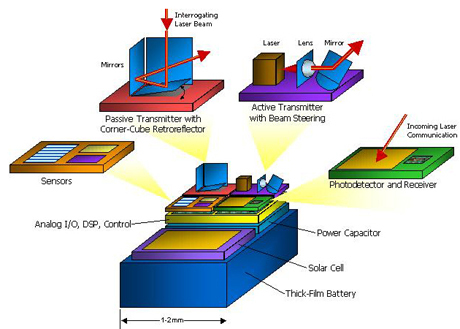 Millimeter-scale, energy-harvesting sensor system developed by PhysOrg – February 8, 2010. New screening technology might detect terrorists before they act by Joshua Topolsky, Engadget – October 6, 2007. Shotgun Cams for Urban Surveillance by Noah Schachtman, Wired Magazine – September 24, 2007. Smart Dust? Not Quite, but We’re Getting There by Steve Lohr, The New York Times – January 30, 2010. Surveillance Cameras Get Smarter by Stephen Manning, Associated Press – February 26, 2007. Tech wonders on homeland security horizon by Jim Wolf, Scientific American – September 21, 2007. The Myth of the “Transparent Society” by Bruce Schneier, Wired Magazine – March 6, 2008. 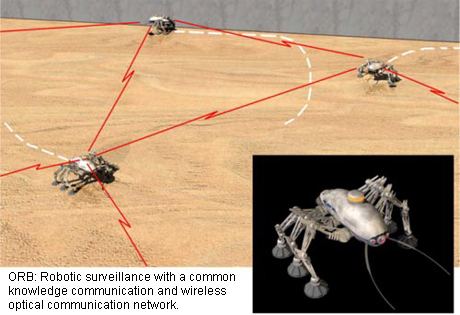 The Spiders: visually shows a sousveillance system at work. QIK: Streaming video right from your phone to the world.